My blog title is my hope that this is the end of the snow and cold. We have a bit of snow still on the ground which is going away slowly. The forecast is for warmer temperatures and rain this week, that is the start of unofficial mud season. I am reading all those blogs, where people are seeing their flowers bloom already, with wishful thinking. I have two cards to post today. One was the St Patrick's Day card I made for the Cardologists. This card is made with a Celtic gyre as the focal point. I covered it in Crystal Effects to make it look a little like a charm. I used a Spellbinders lattice die and two sizes of Sizzix framelits to cut the backgrounds. The shamrock was made with a heart punch. 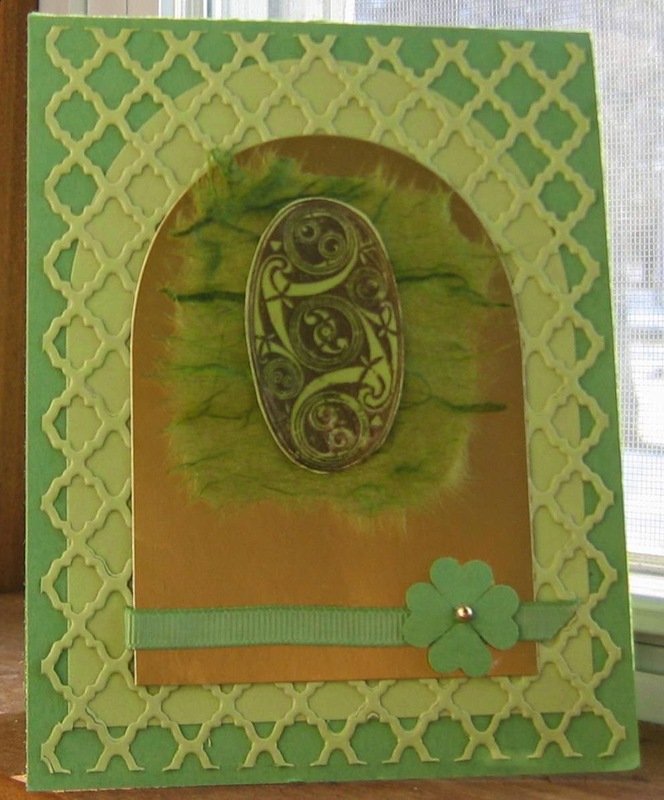 Because you can see, with a little imagination, a green ombre look, I am submitting this card to the City Crafter Challenge Blog where Darnell is the special guest designer. You still have a few hours to check out the Week 254 challenge. Even though I have had the boxed set of Celtic stamps forever, this is a never been used stamp as are the Sizzix dies that I received as a gift. 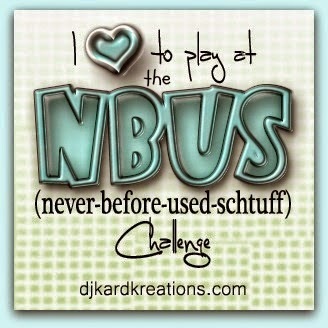 So I am also linking the card to Darnell's NBUS Challenge 4. This next card was a quick, and I mean really quick card, made because I didn't want to miss the deadline at Time Out Challenges. My cardologist friend, Susanne, is guest designer there for challenge 27 where the theme is "Clean and Simple with an optional twist of Black and White plus a Splash of One Colour." My style might have too many layers to be CAS, but I hope it has enough white to qualify. The stamp is from a retired Stampin' Up set called Measure of a Life. Just a tiny bit of blue colored pencil on the body rubbed out over the wings. Thank you for visiting my site. I hope you have a wonderful day. I can assure everyone that the first card looks even prettier in real life! And I love the card you made for the Time Out Challenge! That lightly colored dragonfly is so gorgeous! I'm glad to have Susanne's assurance, but my imagination was already forecasting that your St. Patrick's card was really stunning IRL! It is indeed a gem, Dora! Thank you for killing two challenges with one stone in terms of my comments, haha! 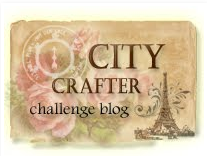 It's my pleasure to thank you for entering BOTH the City Crafter challenge and my NBUS Challenge #4!! Two lovely cards!! I really like that St Pat's card and the ombre of greens ... Thanks so much for playing along with us at CCCB!! You've made two pretty cards! 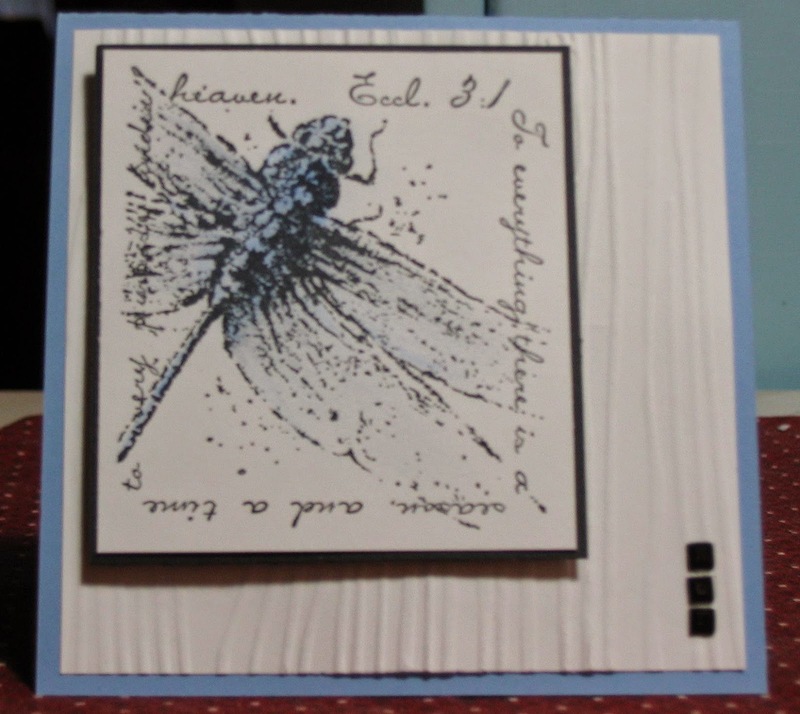 Both cards are gorgeous but the second one with blue is my fave.Lovely piece of cardmaking. Thanks so much for joining us at CCCB!